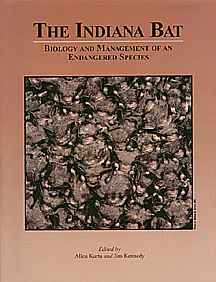 Proceedings of the 2001 Indiana Bat conference held in Lexington, Kentucky. The most complete and up-to-date research on the endangered Indiana bat (Myotis sodalis) ever collected. 27 scientific papers by 59 top bat biologists. Edited by Allen Kurta and Jim Kennedy, includes a foreword by conference organizer Michael Lacki of the University of Kentucky. All papers are also available digitally on an accompanying CD. Published by Bat Conservation International.